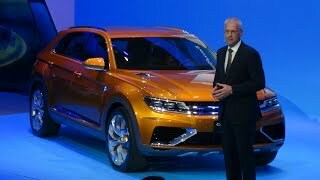 The 2013 Volkswagen CrossBlue Coupé Concept made its public debut at the 2013 Shanghai Auto Show. The concept gives design hint for the upcoming Volkswagen SUV in near future. 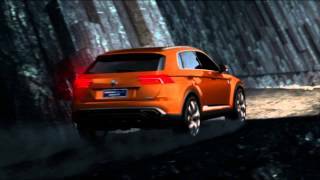 Klaus Bischoff confirmed by stating that the CrossBlue Coupé shows the potential of Volkswagen design DNA and will undoubtedly have an influence on future SUV models. Continue reading for complete details.